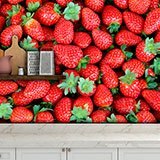 Wall mural Strawberries. 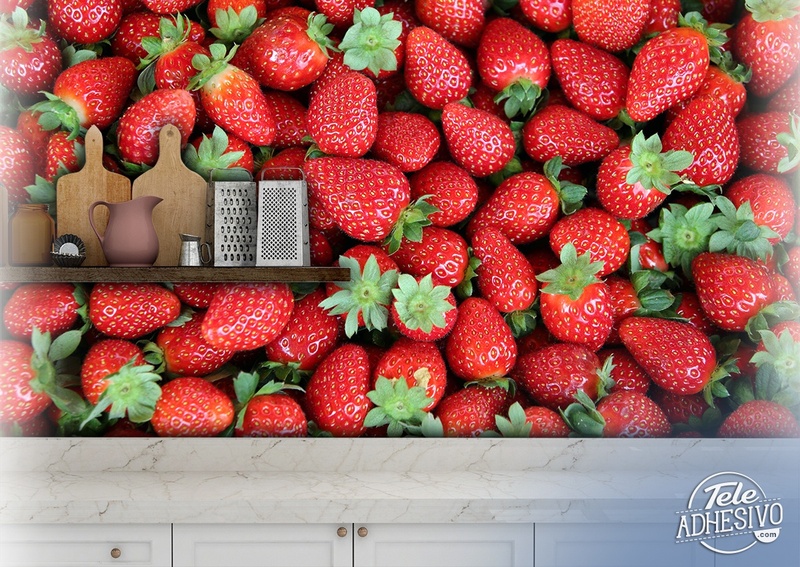 Funny composition of a multitude of strawberries. 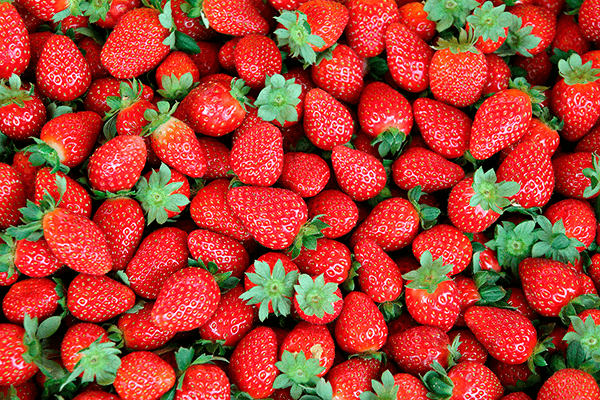 It is the first fruit to ripen in spring and the least calories have. The reddest and brightest are sweeter. 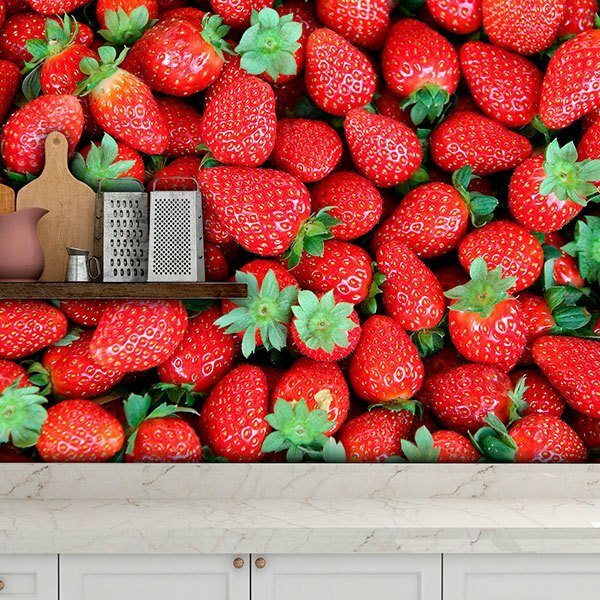 Ideal for decorating the wall of a kitchen or any store or business related to food or fruits.